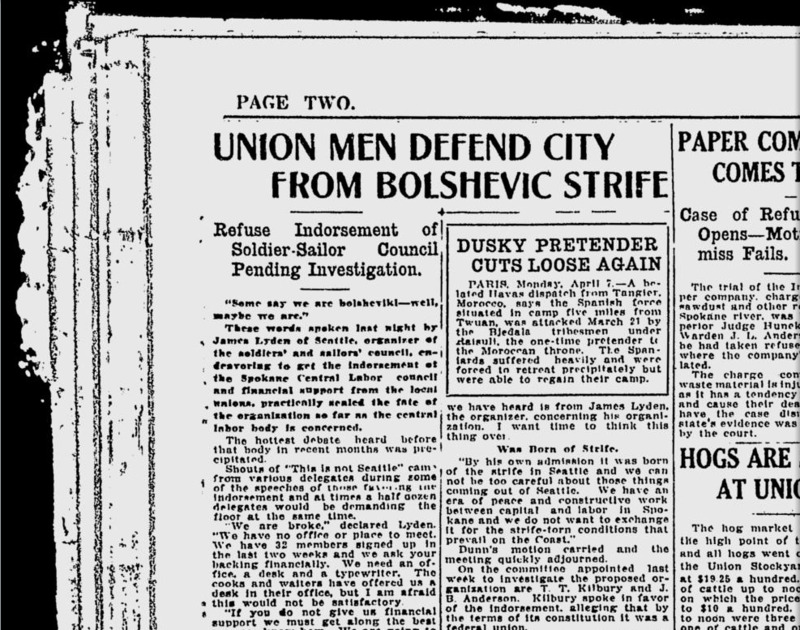 The Spokane Daily Chronicle ran two stories that warned darkly of bolshevist plots in Spokane. Police believed the organization was expanding into the Northwest. In a second story, the Chronicle recounted a debate in the Spokane Central Labor Council over whether to endorse a new organization called the Soldiers’ and Sailors’ Council. James Lyden, the Seattle organizer of the Soldiers’ and Sailors’ Council, said that they were mainly in favor of unionism, which is why the central council should support them. A motion to deny the endorsement passed.